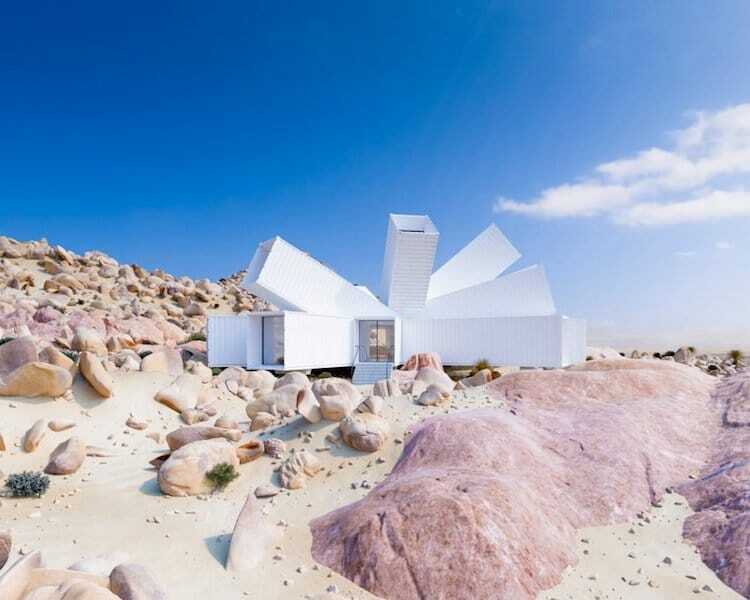 Whitaker Studio’s Joshua Tree Residence takes shipping container architecture to the next level. 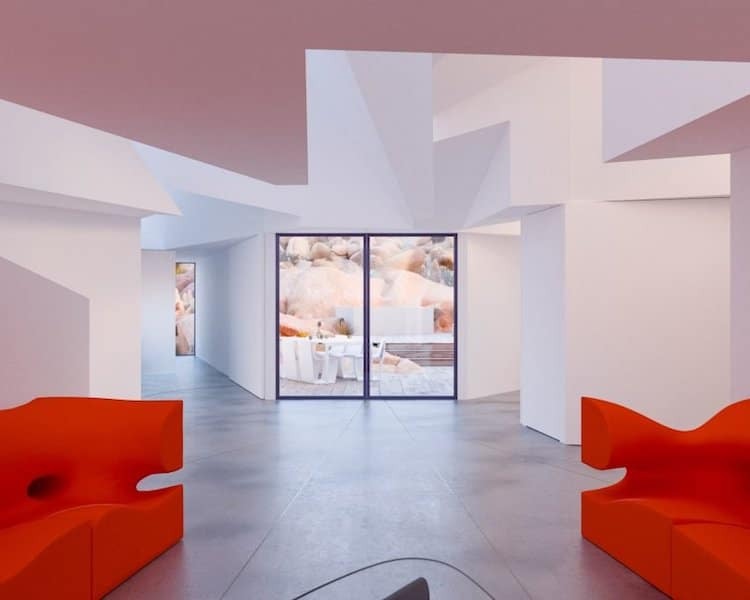 Commissioned by a Los Angeles-based film producer, the home’s design takes inspiration from an earlier concept by Whitaker Studio intended for an office building that was never realized. 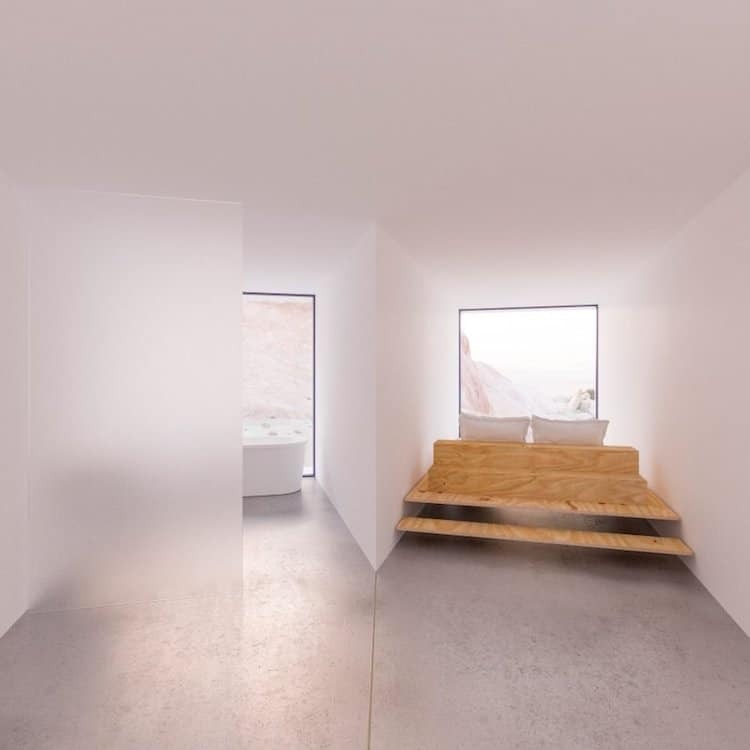 Set to begin construction in 2018, the home’s starburst configuration was carefully planned by the architect to maximize views, provide an abundant amount of natural light and to create privacy, depending on each container’s location and use. 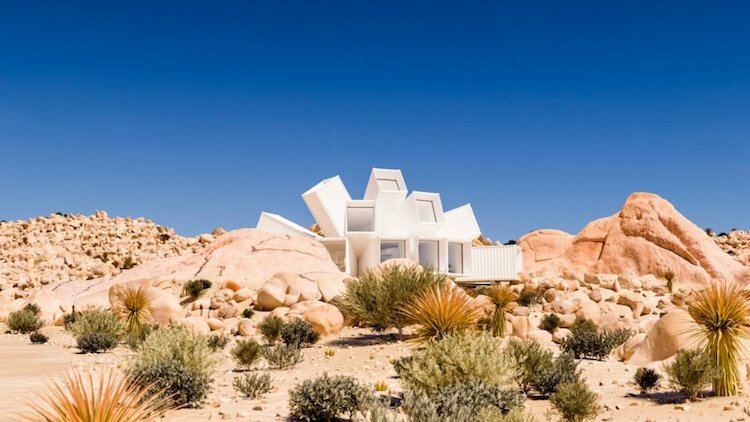 Situated on a 90-acre plot, near Joshua Tree National Park, the home will serve as a vacation home for the LA-based producer and his wife. 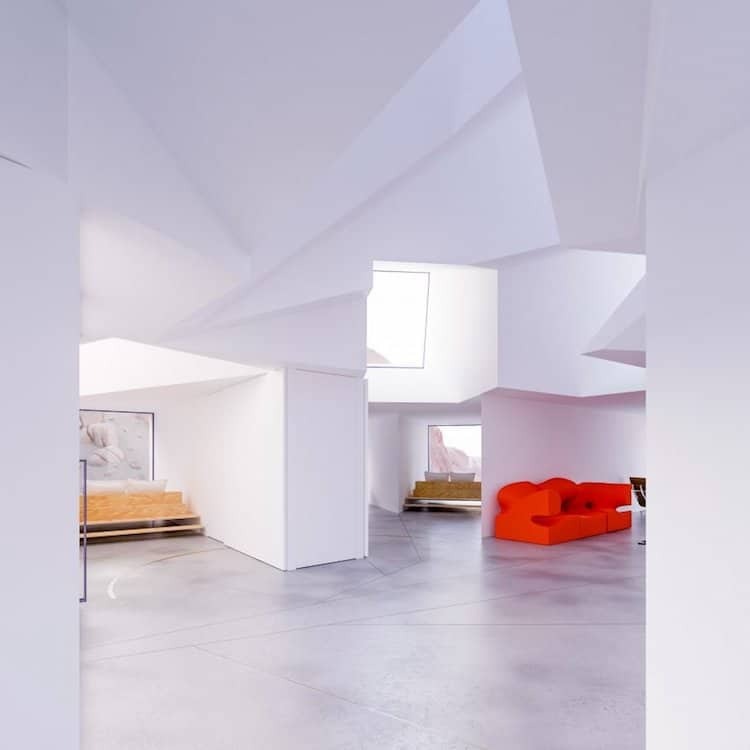 The 2,150-square-foot (200-square-meter) home will have a living room, kitchen, dining area and three bedrooms – all with concrete flooring and an emphasis on a very minimal design. 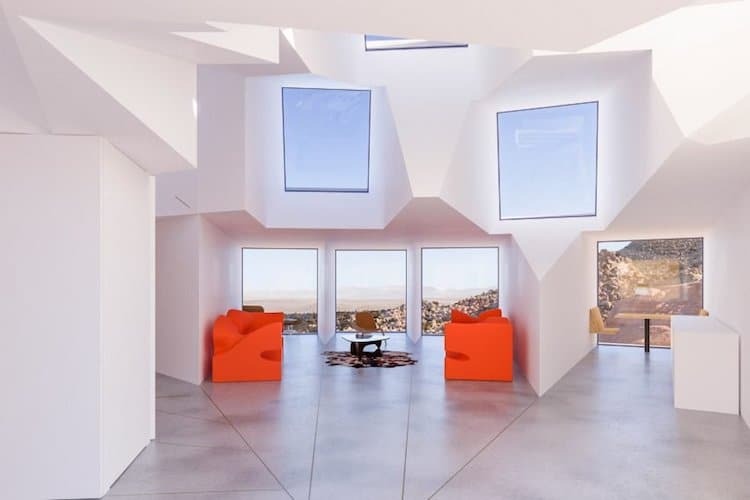 Each room’s configuration was strategically planned, “Each container is orientated to maximize views across the landscape, or to use the topography to provide privacy, depending on their individual use,” Explains James Whitaker. 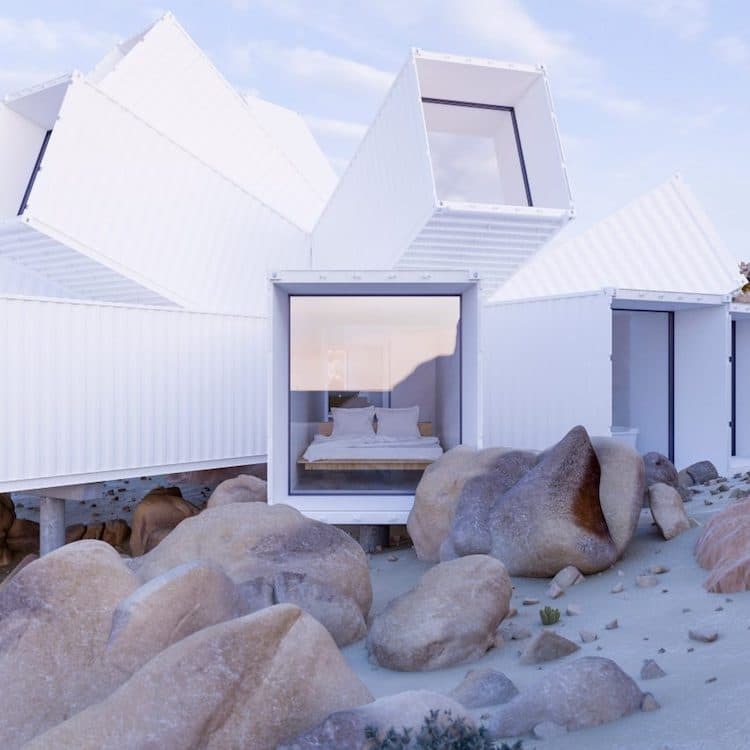 The exterior design is kept minimalistic looking as well – painting the shipping containers a bright white color gives it a clean, modern look as well as helps to reflect light from the hot desert sun. A nearby garage fitted with solar panels will provide all the power needed for the home.